If you've recently enjoyed National Cold Cuts Day and followed it up with a celebration of National Cheese Doodle Day (both totally real things that happened this month), you probably don't need to be told that March 6 is National Oreo Day. If you're basically everyone else in the world: Hey, March 6 is National Oreo Day. It lands on the 106th birthday of the delicious creme-stuffed cookie. You probably don't care. What you should care about is that the company is celebrating by making sure basically anyone who wants to can taste some sweet, sweet Oreo goodness in honor of the intensely specific food holiday. 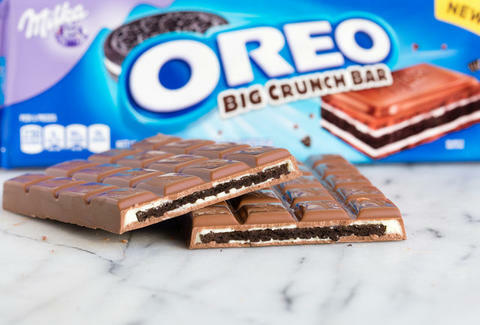 Oreo is giving away more than a million Oreo Chocolate Candy Bars on March 6. Starting at 6am EST, head to OreoBirthdayGiveaway.com. The first million folks to get there are getting a free candy bar. You don't have to download an app or get a tattoo or do anything untoward. Dustin Nelson is a News Writer with Thrillist. He's curious how bowling alleys clean out the holes in bowling balls. Follow him @dlukenelson.